Olde Naples Homes: Charming two-unit residence providing the best of all worlds in Old Naples - A home where your family can make wonderful memories, with income, or a quality investment property with an income stream that has been excellent and full of potential. This fine property is a classic Old Naples home located in a one of a kind spot that’s a stone’s throw from 5th Ave. South, and a quick walk to 3rd St. South. The two-bedroom unit has a spacious living room, cute Florida room, eat-in kitchen, two baths, and laundry. The one-bedroom unit offers a generous living room, galley kitchen, one bath, and a laundry room. Both units have an excellent rental history. A cute yard, and a two car garage complete the property. Stroll to the beach, go paddle boarding or kayaking, bike everywhere from this fine location. A casual walk to end each day can bring you to all that Old Naples offers – beautiful natural resources, the waterfront, the outdoors, public parks, City Dock, dining, and shopping. Available Today! Olde Naples Homes: PRICED LOWER than Collier County Property Appraiser LAND MARKET VALUE! In the heart of Olde Naples, at the corner of 11th Ave South and 8th Street South, it's a 100' x 75' Lot with a smaller house on it. The property is being marketed AS-IS and priced for the land value. Look around and compare for yourself: located in Naples Downtown, just 3 blocks to Historical Naples 3rd Street, 4 blocks to Cambier Park and famous 5th Avenue South, 7 blocks to the Gulf Of Mexico, and just one block to Broad Avenue and city dock. Surrounded by multi-million dollar homes; this is your chance to invest in Naples Downtown and /or build your dream home! Olde Naples Homes: VIV Homes proudly presents a new classical British West Indies home situated with southern exposure in absolutely the perfect Old Naples location. Designed in collaboration with Stofft Cooney Architecture this timeless, elegant, and charming resort style 5 bedroom + den residence is just a short walk to everything Old Naples has to offer, from world class beaches, to the finest shops and bistros of both 5th Avenue and 3rd Street South. Built without compromise this residence features full concrete construction, unrivaled finishes, and a generous and open floor plan. Within the home you will find a gourmet kitchen with Sub-Zero/Wolf/Miele appliances, bespoke cabinetry and millwork, Legno Bastone French Oak flooring, Sonos/Lutron/Water Alarm systems, a climate controlled wine display, and an upper VIP suite with separate living, access, and laundry. The transition to outside is flawless offering a folding door system which provides seamless indoor to outdoor living and leads you to the large pool/spa, built in fire pit with seating, and exceptional outdoor living, linear fireplace, and automated roll down screens and shutters. Expected completion April 2019. Olde Naples Homes: Pre Construction Pricing on this stunning 5896* Sq. Ft. Under Air, 7953 Sq. Ft. Total…home located in the heart of Olde Naples. Just 2 homes from the Beach and 2 Blocks to 5th Ave S This home will feature exquisite interior finishes, Five Full Bedrooms Including 2 Master Suits, Den, Loft, 5 Full Baths 1 Half Bath, Elevator, Extensive Pool complex with spa, Outdoor Kitchen and Bar, Outdoor Fireplace and Lounge.. Full 3.5 Car Garage with access for 2 of them off the rear Alley. South Western Exposure. Brought to you by Limitless Development,Stofft Cooney Architects, Waterside Builders and Clive Daniel Homes. Plans, Finishes, and Renderings upon Request. Note: All information provided in this listing is Subject to change during planning/ building process. Olde Naples Homes: Within a block to the beach, perfectly located on the quiet, tree lined 1st Ave N stands this majestic British West Indies home. Luxurious walnut floors lay the perfect framework for this masterpiece. The kitchen is furnished with top of the line appliances such as Miele coffee maker, Wolf ranges, separate Sub-Zero refrigerator and freezer and 2 Sub-Zero wine fridges makes this a chef’s dream. Thoughtfully designed by renowned architect, Jorge Hernandez, the residents and guests will appreciate the architectural character with private suites, guest casita and the most stunning outdoor area. Cedar covered balconies both front and back of the home offer gorgeous views. Lush landscaping surrounds and offers the utmost privacy to enjoy the resort like pool and spa area alongside the romantic covered lanai complete with kitchen and fireplace. Centrally located to 5th and 3rd, walking distance to Wynns Market and the crystalline sands of the Gulf of Mexico makes this the perfect place enjoy the idyllic Naples lifestyle and breathtaking sunsets. 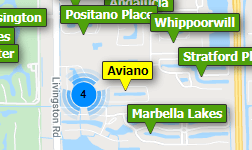 Olde Naples Homes: Location. Award winning architecture. Quality craftsmanship. Situated just steps to one of Naples’ pristine beaches and the renowned 3rd St. S. shopping/dining district. Designed by MHK Architecture & Planning this custom home is infused with their signature, classic old Florida attributes. Waterside Builders Inc. has again crafted a home that is above the bar offering peace of mind and long term value. Comfortable, open floor plan provides a feeling of space; a seamless transition from indoor to outdoor living areas. Large spans of glass open to a massive, covered outdoor living area with gracious pool and spa; almost spa-like. The large master suite offers a quiet office, his and her closets and gorgeous bath with walk-in shower and soaking tub. The home offers the Lutron system and the ability to control the lighting, ACs, pool/spa and 65 KW whole house generator remotely. Fantastic kitchen with Thermadore and Miele appliances as well as a prep-kitchen with additional gas range/oven and fridge. There’s a 600 bottle wine room as well. A car collector’s dream; 3 bays with the ability for 3 lifts, 2 of the bays with insulated walls and climate controlled. A unique opportunity. Olde Naples Homes: H.14005 - Spectacular southern colonial grande estate sits in the heart of Old Naples, just a block to the beach and two blocks from Fifth Ave. S offering 5+ bedrooms, over 7500 sq ft of craftsmanship and character with superior molding throughout. Large wrap-around porch leads to the formal foyer, which bespeaks of an era gone by with its rich, hand-rubbed hardwood floors, elegant staircase and abundance of charm, plus there's an elevator. The massive, chef’s kitchen features high-end appliances, two large islands with timeless marble countertops, breakfast bar, and tons of quality, custom cabinetry & exquisite millwork. Butler's pantry, humidor and wine cellar large enough for a connoisseur’s prized collection. An oversized formal dining room filled with natural light overlooks a manicured yard; five fireplaces enhance the many living areas. Picture yourself in the handsomely paneled library, with a good book, beverage and a fire in the intricately carved fireplace w/floor to ceiling shelves and detailed, coffered wood ceiling. Separate guest suite, heated pool/spa, sun-shelf, plenty of shade for outdoor dining & lounging. A car enthusiast's dream with six+ garage spaces! Olde Naples Homes: 40 5th Avenue South is an elegant residence located on prestigious 5th Avenue South in Old Naples. Upon arrival, guests are greeted in a two-story grand foyer with a sweeping spiral staircase. The formal living and dining rooms and family room each offer intimate retreats which are the ultimate venues for engaging conversations with family and friends. The open kitchen and adjacent living area were designed to facilitate the ultimate culinary experience. The large master suite is located on the first living level, while 3 guest bedrooms, one of which is a 3-room suite, are located on the second level of the home. Also, located on the second level is a most impressive entertainment parlor with a bar, featuring detailed millwork and an adjacent office with rich wood accents. Outdoor terraces strategically located alongside the key interior rooms, function as seamless extensions of the interior spaces and offer access to the inviting pool deck located on the southwest corner of the home. This residence, located just one home off the beach and only steps to the excitement of the shops and dining of 5th Avenue South is a rare opportunity to enjoy the quintessential Naples experience. Olde Naples Homes: An Incredible Value! This MHK "Beach Cottage" inspired home draws on the subtle charm that Old Naples offers. Built by Waterside Homes, Inc. and exquisitely appointed by Linda Sonders Design, the attention to detail is spectacular. Legno Bastone Giginella floors, custom C&C Cabinetry, Wolf and Sub-Zero appliances and Control 4 automation are examples of this. This home offers 5 bedrooms (including a separate guest cabana), a study, a game room, wine room and a sitting room off the kitchen. There are 1st and 2nd floor laundry facilities, an elevator, fantastic covered and uncovered outdoor living areas with automated screens and shutters, and massive pool/spa/firepit areas on the grand 185' deep lot. The residence is placed a comfortable 2 block stroll to the white sand beach and 3 blocks to the historic 3rd Street South shops and restaurants. This home and location are ideal to enjoy the relaxed Naples lifestyle. Olde Naples Homes: Total remodel! Finished in 2019, 123 14th Avenue South is a phenomenal modern style home located only 3 houses from the white sand beaches of the Gulf of Mexico and one block from the historic downtown shopping area of 3rd Street South. This home was brought down to the bare walls and meticulously redesigned and rebuilt from the ground up. Constructed by local builder BUILD, new innovative floor plan and elevation by architect Mark Leonardi and furnishings and décor by Lisa Kahn. There is an abundance of sunlight flowing through the home from the floor to ceiling windows throughout. Several outdoor living areas are featured in nearly every room providing a smooth connection between the indoor and outdoor spaces. A large circular drive in the front as well as a rare and spacious backyard frame the property. The western side of the house offers a large pool 17x40 and spa surrounded by a shell stone pool deck maximizing the exposure to the sun. Other features include a gas line to the home, Marvin impact windows, mahogany decks, circular driveway, elevator, generator, flexible living spaces, and a gourmet’s kitchen with high-end appliances and bespoke cabinetry. Olde Naples Homes: Rare opportunity to have a Gulf Shore Boulevard address in Olde Naples. Located directly across the street from the beach, one block south of the Naples Beach Hotel & Golf Club, this gracious two-story classical style home was designed by Dyehouse & Geshay and custom built by D. Garrett Construction with exquisite detail and impressive specifications. Stately, move-in condition, 4BR +Den with 5 full baths, huge master suite with private balcony, fireplaced living room, 11' ceilings with deep crown molding, delightful kitchen with breakfast bay, 3-car garage. Lovely rear gardens with space for custom pool. This sunny home is just a short stroll to the shops and bistros of both 5th Avenue and 3rd Street South. Olde Naples Homes: Ideally positioned just footsteps to the most iconic structure in Naples, the Naples Pier and beach, and a 2 minute walk to charming Third Street South shops and fine dining. Just completed by SGM Building Group, this Stofft Cooney designed Bali-infused home offers a fabulous great room plan featuring 4 bedrooms, a den and media room. The use of natural stones, light and dark woods, stainless steel accents, walls of sliding glass doors from the living areas and master bedroom open to the Zen-like outdoor living and entertaining area with beautiful tropical landscaping and great privacy. Lushly landscaped promenades and courtyards are lined with charming and historic architecture in the Third Street South shopping district just across the boulevard. The latest in couture design, fine art, and creative flair from around the world are yours to enjoy. Olde Naples Homes: Located in the heart of Olde Naples, blocks from the beaches, boutiques, art galleries & restaurants of 3rd Street S & from the night-life & shopping of 5th Avenue S. This Falconer Jones designed home was built by BBA Construction and consist of 4 bedrooms plus a den, 4 full baths and 2 half baths and 4 car garage. The open floor plan features a gourmet kitchen with a oversized marble island, Miele appliances, 2 dishwashers and wine refrigeration. The great room opens to 2 covered outdoor living/entertaining areas, pool, spa, fireplace and 2 fire bowls. Interior finishes include European wide plank floors throughout, Elan G home automation system, electric roll down screens, shutters and clear panels. The exterior features a standing seam metal roof, total concrete block construction and mahogany front door.There is a marina with slips available just blocks from the home. Meticulously maintained builders personal residence. Includes a 1 year warranty. Olde Naples Homes: One-half block to 5th Avenue, hidden on a quiet secluded street and overlooking Spring Lake sits a New Construction home offering privacy and every upgraded amenity imaginable! A rare opportunity to walk to the Naples world-class Beach, Shops and Restaurants is within your reach. A large pool with sun shelf, spa, water features and fountains are set against the backdrop of Spring Lake. An interior offering an expansive floor plan with great room and study main level living, master suites both downstairs and up, outdoor kitchen with linear fireplace open to lake views or protected by remote screens and shutters, an Elevator, Wolfe gas cook top, built-in Miele coffee maker, wine service bar, laundry rooms upstairs and down, a grand upstairs fitness game and media center surrounded by 4 en suite bedrooms, wide plank wood flooring throughout and both a sunrise and a sunset balcony over the lake! These are just some of the features. The discerning buyer will appreciate the comfortable elegance, spacious living and Perfect Location to stroll Fifth Avenue, the Third St. District of cafes and art, and a short walk to the beach as you love and live the fabulous, unique Old Naples life! Olde Naples Homes: H.13416 -Magnificent and sophisticated 5 bedroom, 4 full + 2 half bath estate in prime Olde Naples location, just a block and a half from the beach! Mature palms, manicured landscaping, brick paved circular drive w/ample parking. Solid Mahogany double doors create an elegant entryway. The interior is freshly painted in light colors enhanced by the clerestory windows, evoking a casual elegance with upscale finishes. Extensive millwork and tasteful custom stonework, rich wood and marble flooring, coffered volume and cathedral ceilings, granite, marble and onyx countertops, intricately carved marble fireplace, a chef’s kitchen, large impact picture windows and French doors with plantation shutters throughout. Glamorous master suite boasts a sitting area, two walk-in closets, separate vanities, soaking tub, oversized shower; private, covered balcony. Open floor plan offers multiple areas for entertaining. Beautiful stone rimmed pool and spa beckon guests outdoors to enjoy the patio and summer kitchen amidst the lush tropical environs. A car enthusiast’s dream with a 3-car garage, plus lift. Olde Naples Homes: The charm of this Falconer Jones designed Olde Naples home is the classic West Indies Design enhanced with 21st century luxury and style! At 4,800 s.f. this home is an oasis of comfort, infused with exotic influences. The open and inviting floor plan begins on French white oak wide-plank flooring by Legno Bastone. A streamlined kitchen was designed for entertaining featuring Miele appliances, two marble-topped islands, full size wine refrigeration, gas cooktop, a separate "butler's kitchen", and a summer kitchen. A spacious living room -plus cozy poolside respite- comfy study and full dining room add to this deceivingly large home. An airy first floor Master, and three en suite bedrooms above provide ample room for family and guests. Mahogany doors and shutters, electric roll down screens and shutters surround the outdoor living spaces. An Elan G total home automation system keeps the home alive perennially. The best in Naples living - A retreat in Paradise. And then... all of Naples' natural resources are just steps away. Finish the day strolling to enjoy all on 3rd St. S. or 5th Ave. S. This is a home for the entire family! A nearby marina has slips available. Olde Naples Homes: Premium Olde Naples location 3 blocks to the beach and close to 5th Ave S. shopping and dining. Inspired by PERE Development and penned by Kukk Architecture. This striking home will include 5 spacious en-suite bedrooms plus a study and powder bath. Your chef’s dream kitchen with custom cabinetry and large island features Subzero and Wolfe appliances. The glass sliders seamlessly open the great room to the covered outdoor living area perfectly equipped for entertaining with outdoor fireplace and summer kitchen. Floor to ceiling windows overlook the pool and fill the home with natural light. The exterior features include shell stone decking and beautiful landscaping. This home boast unrivaled finishes and full concrete construction. A rear alley to access the 3 car garage. Olde Naples Homes: This custom home is the epitome of beauty and grace. Located on one of Old Naples’ charming streets and just steps to the renowned sugar sand beaches of the Gulf of Mexico, this home is perfect for entertaining. The great room concept features a chef's kitchen that opens to the dining and living space. Highlights of the chef’s kitchen include marble counter-tops, top of the line Miele/Wolfe/Subzero appliances and a walk-in pantry. In addition to the custom Downsview cabinetry, Legno Bastone wide plank flooring, glass-enclosed wine storage room, home theater, large office and study area with bookshelves and a state of the art home automation system, the home has numerous sliding glass doors that lead out to a spacious lanai and pool area allowing the interior living spaces to blend harmoniously with exterior spaces and the surrounding lush vegetation. This home lives like a sublime resort. The separate guest cabana has a private entrance and sun deck. This home is luxurious Old Naples living at its best! Olde Naples Homes: Located a short distance from Naples' beautiful beaches, as well as downtown 5th Avenue restaurants and shopping, this 2016 custom built home displays casual elegance. An abundance of natural light, combined with top of the line finishes, makes this a truly spectacular Olde Naples residence. The first floor master suite boasts his and hers walk in closets and morning bar, while remaining bedrooms, each with their own ensuite bathroom, belong to the 2nd floor. The gourmet kitchen is well equipped with Wolf gas range and dual wall ovens, Subzero refrigerator, freezer and wine refrigerator, dual Miele dishwashers, and walk-in pantry. Retractable glass doors and screens in the expansive lanai let you customize your outdoor experience while relaxing by the heated salt system pool/spa. The air conditioned garage is equipped with 60 amp electric car service. Olde Naples Homes: Chic coastal Naples home filled with perfectly balanced elements, exuberant colors & patterns, balanced perfect layering & coziness with classical style. Spaces carry subtle vintage references to the past that bring warmth while clearly being directed to the light & color of today & years ahead … a breath of fresh air in a world that can be overly trend-driven. The Blue in the Gulf of Mexico inspires perfectly layered elements with touches in shades of orange & blush creating alluring freshness. The overarching connection throughout the residence harmoniously blends colors, textures, textiles & light while unifying form & function. Feminine & masculine, polished & organic, neutrals & color, smooth & textured, wood & stone, light & air, fire & coolness … elements existing with both the peace & tension that are embodied in all truly special environments. Indoors & outdoors fuse seamlessly. timeless & classic while fresh, current & forward thinking. Your downtown oasis within blocks of 5th Ave. S. & 3rd St. S. dining & shopping, Crayton Cove, the beach & the Naples Pier. Completion Spring 2019. Floor plan available. Note rendering furnishings do NOT depict what will be included. Olde Naples Homes: Less than 2 blocks from the beach and perfectly situated on the south end of Olde Naples sits this Old Florida gem. Hardiplank siding, a Galvalume roof and ideally nestled within a variety of mature landscaping this estate provides a highly sought-after coastal elegance. A charming trellis greets residents and guests through to the grand hallway framed by custom board and bead walls and French glass doors which lead to the courtyard with pool and spa. Encompassing over 6,000 square feet, this thoughtful design includes a generous kitchen which seamlessly opens to the light and bright family room. A formal dining complete with custom built ins, a gracious master suite inclusive of a separate sitting room with floor to ceiling shelving and 3 separate en-suite guest suites which provide privacy and comfort. This idyllic Naples retreat sits steps away from the white sandy beaches of the Gulf and only a short stroll to the world-class shopping and dining offered on 5th Ave and 3rd St.
Olde Naples Homes: Spectacular 2016 Old Naples inspired Cottage Style custom built by Foresite Homes. Exquisite in every detail. Clive Daniel transitional design. Over 5,500 sqft of casual, elegant living. Enjoy 5 spacious bedrooms and 7 baths. Luxurious 1st floor master suite with all white bath area, 3 additional large suites with balconies, plus separate private casita apartment. Magnificent open great room floor plan, soft coastal colors, formal dining, European washed wide plank oak floors, designer lighting, fans, and plantation shutters. A wall in great room brings in nature’s beauty. Private den. Sonos audio system. Stunning all white Chef’s kitchen features Wolf and Subzero appliances, custom cabinets, and expansive quartz island, ready for your culinary creations & entertaining. French doors throughout. Spacious & very private outdoor entertainment area boasting pool, spa, large deck, covered kitchen, fireplace, and pool bath. Stroll 3 blocks to the beach or 4 blocks to 5th Ave S. Furnishings negotiable. American Home Shield Warranty offers worry free living. Ready for you & your family. Make it yours! Call for a private tour. Need professional assistance selling your property at Olde Naples Naples? Find out how an Area Specialist can help to generate more property exposure in order to get the most money for your investment in the least amount of time.